– This build represents the first major step in migrating our game rules out of the base game and into plugins. This system is intended to allow easy adjustment of rules for your races without waiting for ISI to add or develop them. We’re still working on this, so feedback is very welcome. – Max vehicles for the All Cars & Tracks default mod was increased to 45. – Added a configurable control for “Skip Formation” (but if none is configured, the Space key will be used). – Added AI self-preservation reaction to preventing tipping. – Increased effect AIW parameter AISpec has on AI acceleration and max speed. – Added cockpit readouts “BESTLAP” and “LASTLAP” for modders to use. – Clean up of AI multiline pack driving. More tolerance of nearby cars when slowingly moving towards grid or pit spots. – Assume any future Thrustmaster wheel will need its FFB direction reversed and do so automatically. If for some reason that is not desired, open up the Controller.JSON file and set “Steering Effects Strength” to 9999 instead of 10000. – FOV now stored per (exact) vehicle. – Added steering wheel ranges to plugin telemetry. – Added a plugin interface to view some pit menu data. Currently, you can only change the pitstop choices by using this in conjunction with CheckHWControl(). – Expanded the virtual vehicle creation to optionally include vehicle description and vehicle number. – Adjustment parameters for multiview are now available in config.ini. You must manually edit the values in this file until the in-game tool is available. You can revert to the original multiview method by setting UseSubViewParams to 0. Setting UseSubViewParams to 1 assumes a symmetric setup and will use the ViewParams for all viewports. Exit the sim, edit config.ini and restart for settings to take effect. – Forcing vehicle body collision model to be below a certain limit now (automatically LOD’ing if necessary). This is done for performance reasons. – Fix for the “WCCLOUD.GMT” multiplayer loading error. – Fixed mod sig missing when server publishes to matchmaker. – Fixed some controller detection and rearrangement issues. – Addressed issue where a matrix in AI physics drifted away from being orthogonal. – Some improvements/fixes to replay and resume-from-replay for non-race sessions. – Hopeful fix for skin transfer icon mistakingly showing successful completion of a skin that didn’t. – Gold playerfile now stores Mod name instead of RFM file name for “Game Description”, since we can’t guarantee that each mod will have a unique rfm name. (potentially resulting in multiplayer issues when a client loads the wrong rfm file and joins). – Fixed AI tendency to sometimes decelerate needlessly while transitioning from main path to pit path. – Fixed issue when a client loses their connection during a race and rejoins, and then subsequently the race is restarted, the client didn’t know their correct grid location. – Fix for driver editor so you can go back to main menu from track specific parameters menu. 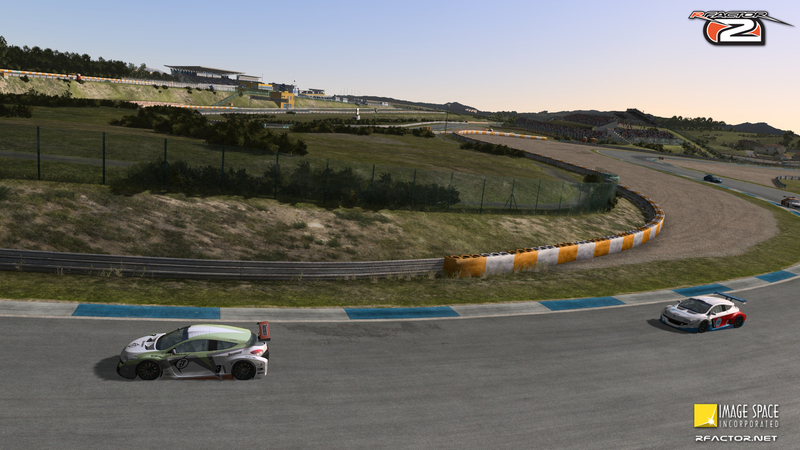 – Added camera editor ablity to change trackside carema names. Created AI limiter slider gizmo. – Look for digital flags up to the number of corner workers so that track builders don’t need to name digital flags consecutively. – Fixed potential bug with custom rFm file when creating mod with wizard. – In multiplayer cars will now reload if using the car switcher only to change upgrades. – Fixed remembering of column sort state for matchmaker list. – Fix for number of pitstops being reported as zero in multiplayer. – Added admin command “/forwardseconds X” in order to fast forward time by X seconds, where X is from 0-65535. – Added admin commands “/pitbydriver” and “/pitbyteam”. – Added multiview adjustments. Values in Config.ini, as well as parameter to disable new functionality (to retain use of older FOV options). – Fixed for FXAA not working since last release. – Additional SLI optimizations when using reflections. – Made the UI consistent with in-game with regards to the names of the Steering Help levels. – Added indication when upgrades are required on track to the upgrade tree list on the tuning page. – Added a “remove forced upgrade” button to the tuning page to easily undo user created “force upgrade” actions. TM: LA SECONDA EDIZIONE E' CON RFACTOR2! SPETTACOLO ALLA PRIMA DI RFACTOR2! ECCO IL MOMENTO DI RFACTOR2!